Netflix earned 31 Primetime Emmy nominations for 2014, more than double what the video-streaming site pulled in last year and the latest indication the company’s investment in original content is paying off when it comes to critical acclaim. The company’s top hits — “House of Cards” and “Orange is the New Black” — were among the top nominees this year, earning key nominations for the best drama and comedy series, respectively. 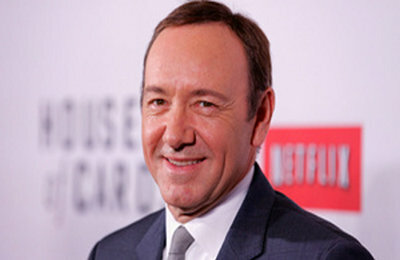 A handful of the actors from those series, including “House” lead actors Kevin Spacey and Robin Wright and “Orange” lead actress Taylor Schilling, were also nominated. Netflix NFLX -1.00% , which ended the first quarter of 2014 with more than 48 million global streaming subscribers, has told investors that original series represent a “tremendous opportunity to raise awareness of, and build consumer enthusiasm for, the Netflix brand.” The company is spending big on its original series and related marketing to boost interest in “House,” “Orange,” and other programs. But the launch of those series comes at a cost to consumers. Netflix earlier this year saying it would raise the price of its streaming service for new members by a dollar or two a month. The price increase for the $7.99 a month service is the first since 2011, and Netflix said it would help pay for the continued investment in original programs. Netflix made a splash last year by scoring 14 Emmy nominations, though the company only took home three awards. Its nomination count for 2014 is still drastically dwarfed by HBO, which earned 99 nominations this year and has some 130 million subscribers. But Netflix in 2014 earned more nominations than heavyweights like Fox, and just a few short of PBS and ABC.